Breast cancer is the most diagnosed cancer among women worldwide. As such, early detection is important in the prevention of the spread or severity of breast cancer. Welfare Association Malaysia (BCWA). BCWA was founded in 1986 by medical specialists who realised the need for peer support for women with breast cancer and also promotes public education of the early detection of breast cancer. 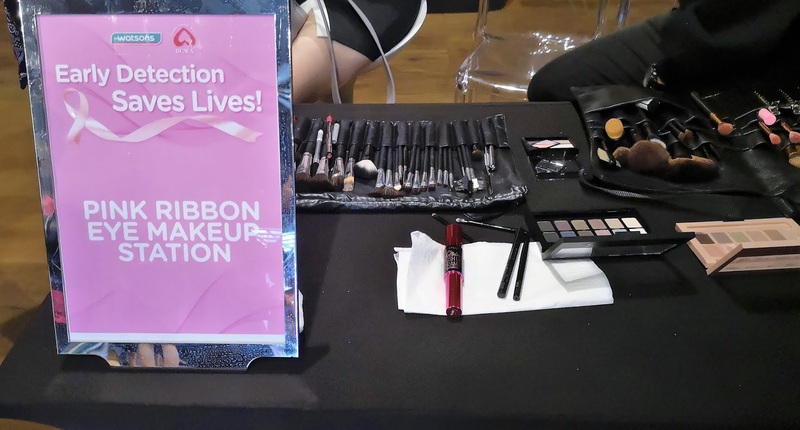 During the Watsons Pink Ribbon campaign from 2nd to 29th October 2018, RM1 will be donated by Watsons to BCWA for every RM50 purchase and above of participating brands products. In addition, Watsons members will get a free RM10 voucher for the next purchase at Watsons, as a token of appreciation by Watsons for supporting the campaign. Joining Watsons in this meaningful Watsons Pink Ribbon campaign includes Biore, Bio-essence, Blackmores, Cetaphil, Gatsby, GVC, Hada Labo, Kate, Lifebuoy, Maybelline, Nano White, NH Detox, Nivea, Oral-B, Pure Beauty, Pantene and Safi. The pink ribbon magnet pin, which is a symbolism of breast cancer awareness will also be made available for purchase at only RM5 in selected Watsons stores and on www.watsons.com.my as well. Upon purchasing this magnet, customers will receive free health checks and also make over by Watsons experts. Proceeds of the pink ribbon magnet pin at Watsons will also be donated to BCWA for its cause to advocate early detection of breast cancer awareness. “Breast cancer is the leading cancer affecting women in Malaysia and approximately one in 20 women will develop breast cancer in their lifetime, according to medical experts. However, early detection can save a life. According to medical experts the 5 year survival rate of Stage 1 breast cancer patients is up to 98 percent. As such, all women should be educated on the awareness of the early detection of breast cancer. 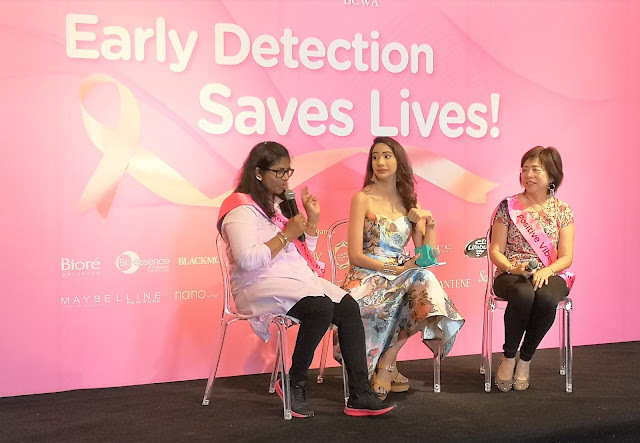 As Malaysia’s largest health and beauty retailer, we wanted to take the opportunity in using our brand as a platform to communicate and educate our dear customers, the importance of early breast cancer detection. We also wanted to our customers to know that they are not alone in facing the challenges of breast cancer and that support is there for them. 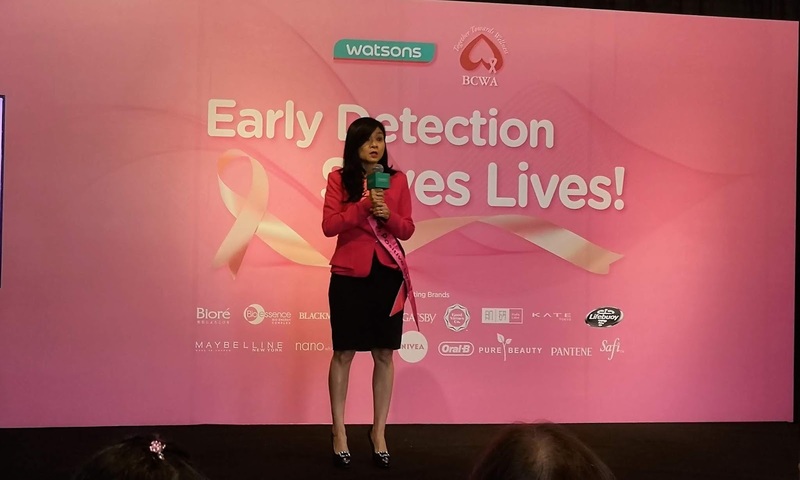 With Watsons collaboration with BCWA, we hope that the donations channelled from the Watsons Pink Ribbon campaign will enable the association to do more to improve the quality of life for women with breast cancer and to promote the right education of breast cancer to the community,” said Caryn Loh, Managing Director of Watsons Malaysia. Joining Caryn the launch of the Watsons Pink Ribbon Campaign were Janet Khor, Vice President of the Breast Cancer Welfare Association Malaysia, Low Siew Hui, Finance and IT Director of Watsons Malaysia (and also AS Watson Global Group CSR Committee) and members of the media and Watsons celebrity friends Sasha Saidin and Steffi Sidhu. 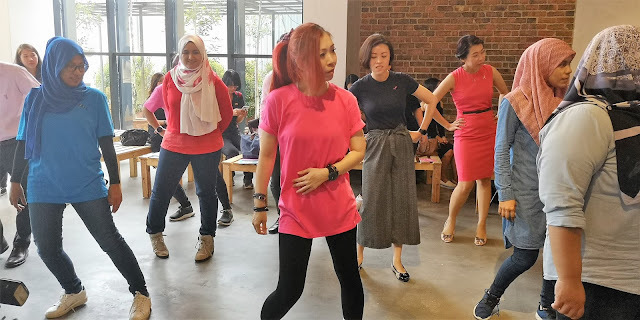 A specially produced video that highlighted breast cancer survivors and celebrities promotion early detection was showcased and breast cancer checks were conducted complementarity for attendees, courtesy of the nurses from the Breast Cancer Welfare Association Malaysia.